Archer really went there in its Season 7 finale, and we honestly don't know what will come next. 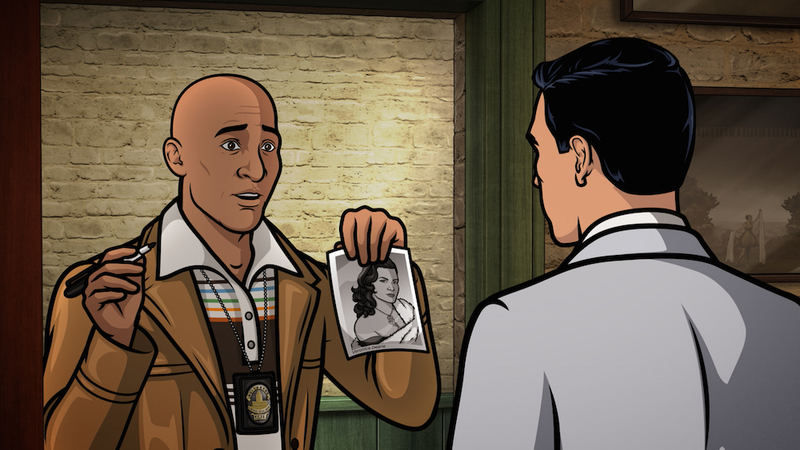 After a season’s worth of buildup as to who killed Archer, not only did we learn who did it, but also that the world’s best ex-secret agent really is dead… maybe. The “who” wasn’t all that shocking: Veronica Deane, the obvious suspect in Eliot’s murder last week, started a kill streak by first shooting Archer (who, at the time, we were lead to believe was Archer’s “robot” clone) and then shooting said robot clone. The robot survived the single gunshot, but it couldn’t handle the emotion associated with proposing to Lana; a moment we’re sure didn’t go as planned for anyone involved. As to whether or not Archer really is dead, we’re guessing, “No.” Not only is it hard to believe that we, as an audience, would go from two Archers buddying up against Cyril to having no Archers in Season 8, but Archer and his robot twin did mention their plan was, perhaps, “overly complicated.” What we actually saw was simple to the point of being stupid, which could indicate we’ve only seen the first phase of the plan so far. Need more evidence? Archer, an expert at counting how many rounds are left in a clip if he’s an expert at anything, would never walk into a situation where a proven murderer had even one bullet remaining. Moreover, why he’d just show up right after she killed his doppleganger is beyond reason. He knows better, as would his robot. Finally, Archer was the first to suspect Veronica and the first to realize she was guilty. Knowing this, as well as her desire to frame Lana, he’d never risk little A.J. becoming an orphan. So there’s got to be a bigger scheme in mind — maybe a spinoff? If someone were to put together a montage of all the Krieger clones shorting out, I’m not sure I could watch it — and that’s meant as a compliment. The animation was significantly jarring, and how the various breakdowns were edited into the scenes made each and every one quite surprising. There’s something to be said about the distress of witnessing your favorite characters spasm and reveal metal monsters within, but the feat of this episode laid in how the animators played off that obvious fear — and played it up. A tip of the cap to the talented artists who turned in another stellar outing this season, as “Archer” continues to develop as one of television’s most aesthetically pleasing — and ambitious — programs. When Season 7 began, we noted just how outrageous it was for “Archer” to even be questioning its central character’s mortality. 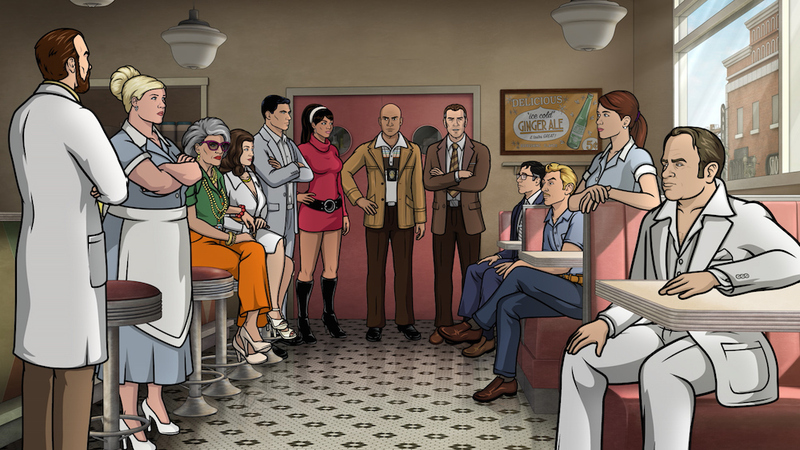 The discussion began over a year ago, aptly with the introduction of Archer as a father, but by opening the season with our favorite former secret agent dead in a pool — a decision Adam Reed said lacked an ending when he wrote it — the creator made a strong choice to lean into his courageous former themes rather than shy away from them. So, to some degree, it fits that the resolution in the finale would be as outrageous as what we tried to explain in the introduction. Archer’s plan, be it ongoing or catastrophic, is or was flat-out nuts, and where we go next is a much bigger mystery after this finale than last year’s. How Malory and Lana will react if he comes back could be equally or more volatile than if he’s truly gone, and imagining how the group would function without its self-absorbed central figure is effectively impossible — and that’s not to mention if Season 8 will even remain in Los Angeles. But answering whether or not Archer died at the end of Season 7 is pertinent to more than just our curiosity, its effect on the other characters and the show’s future. The answer will tell us something, no matter how major or minor, about how we’ll see Sterling Archer moving forward — an immortal legend, or a ego-driven human — and how far an animated cable comedy is capable of going. We’ve seen enough near-deaths of late on TV, but applying that angle to a) a comedy, b) an animated comedy and c) a series that in general has never questioned its lead’s life until recently brings up quite a few new questions. Does Archer have limits, and does the show? So far, the answer has always been “no” to both, but now we’ve entered a paradox where one may not compliment the other. If Archer has no limits, he may as well be immortal. If he does, than this is likely his end. To be clear: We want Archer back. We just hope Adam Reed can resurrect him without dismissing the discussion of his humanity — especially since Season 7 proved to be such a fascinating journey because of it.